Look out moon. There's a rocket coming your way! 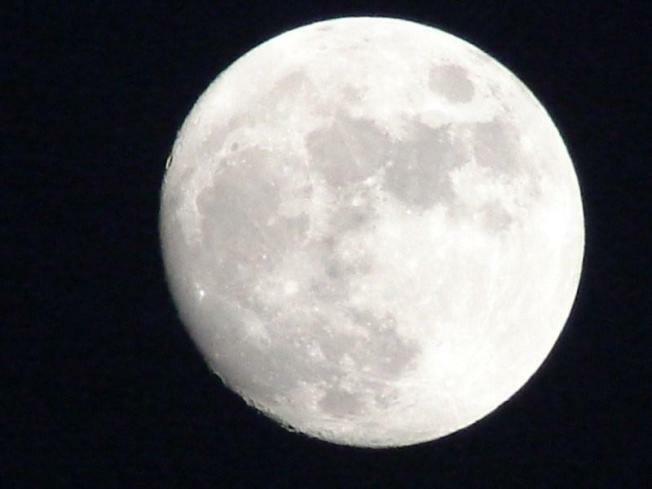 NASA's going for full impact Friday, firing a bomb-laden missile at the moon in a dramatic search for water. The National Aeronautics and Space Administration is sending its Lunar CRater Observing and Sensing Satellite (LCROSS) on a collision course with the lunar south pole of the moon. And you can watch it live at 7:30 a.m. ET, for free, at the Newseum. Before we get all confused with the acronyms (and yes, DC is all about acronyms), here's the gist: NASA's looking for water ice on the moon. So they're sending their satellite up there with a rocket, which will crash into the moon's surface. There will be loads of moon dust, especially when the LCROSS flies through the debris to collect and send data back to Earth before it too crashes onto the moon. Yeah, NASA is really trying to kick it up out there. If you've got a 10-to-12-inch diameter telescope, you can even watch the action from home. Or get over to the Newseum at 555 Pennsylvania Ave., NW. Just RSVP to Maria Furr at maria.d.furr@nasa.gov today, Oct. 5!